has a known relationship to temperature changes. 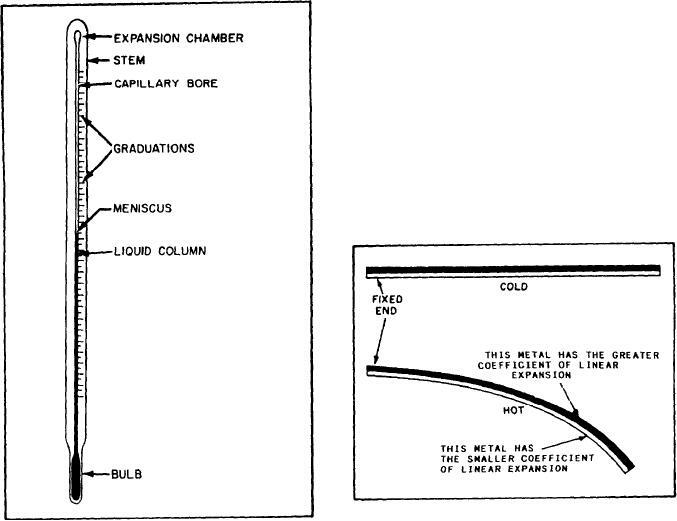 position of the liquid in the capillary tube. it should accidentally be overheated. mometer is to be used. graduations marked directly on the stem. on fuel, oil, and water.